For those of you that think that vintage baseball cards of Hall-of-Famers are too expensive, think again. And of a major player nonetheless. 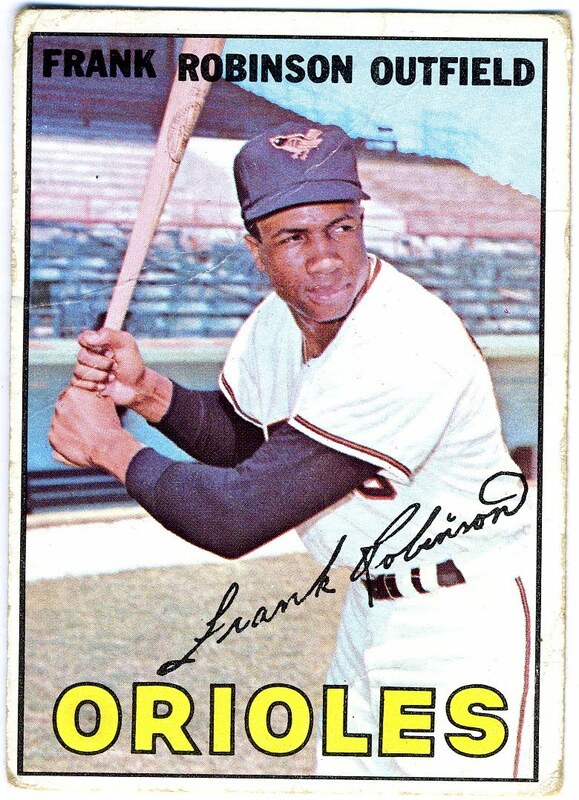 Frank Robinson is one of those guys every baseball fan should know about. Along with being among the all-time home run leaders, Robinson was the first, and only, to be named MVP in both the National and American Leagues. He is also a Triple Crown winner. He really gets little respect and should be considered among the game's best. Here's one of those cards I really don't know a whole lot about. From what I can gather on the Web, Berk Ross cards were produced in 1951 and 1952 by the Berk Ross Corp. of New York City. 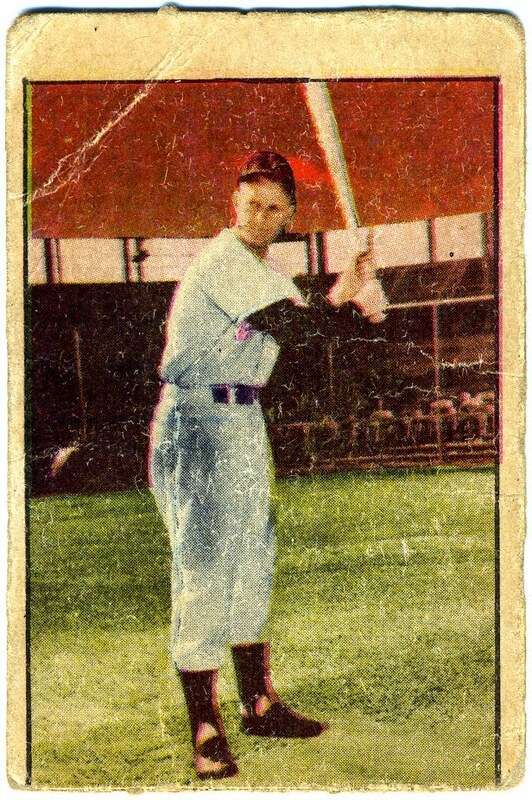 I also found that these 1952 cards are larger than those produced in 1951. Apparently in 1951, the cards were issued in boxes while in 1952 they were included in wrappers. So I'm hoping one of you out there knows more. Like, what was Berk Ross? Was it a candy company? 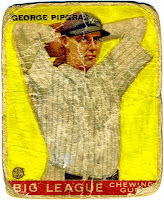 Was it an upstart to compete with Bowman and later Topps? Why only two sets? If anyone out there knows any of these answers, please share by commenting on this post. I got my first Goudey in the early 1980s. I remember thinking how cool it was to have a baseball card that was 50 years old. Today I have several 1933 Goudys and each time I get a new one, I turn into a little kid again. This gem arrived in the mail this morning. And after quickly ripping it from it's package, it became a favorite. No matter the condition, Goudeys impress me every time. 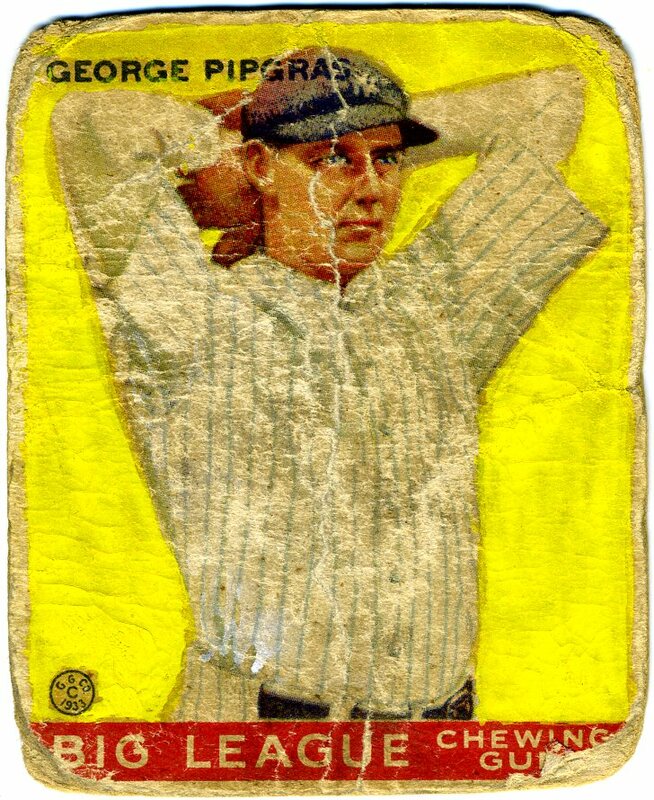 I don't think Goudey made a bad baseball card. Take a look at that color! Not bad for a 77-year-old baseball card. That's what I think got to good ol' Grover Alexander. I don't exactly remember what I paid for this card but as you can imagine, it wasn't very much. Even if I paid a few dollars, some would argue it was too much. But as a poor old baseball card, this card is priceless. Someone commented the other day that he was tracking the Allen & Ginter card I recently posted and decided against it when it reached a certain price. He said he wondered if someone would bid on it because it was sooooooo BAD. I sometimes wonder — if this was ten years ago, would I be bidding on these trashed cards? Probably not. But today, I relish these old cards. They're a lot more interesting than those near-perfect pieces of cardboard. Nowadays, I get most of my cards on eBay. 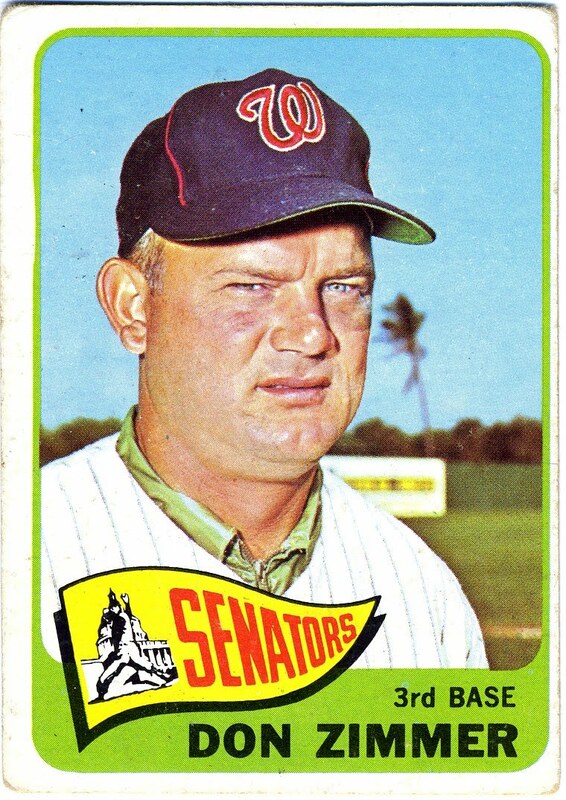 This 1965 Topps Don Zimmer is no exception. One bad thing about shopping on eBay is sometimes a seller will charge a little too much in shipping and handling charges. I think you all know what I mean. I think $4 S&H is a little too much for a card you just bought for $2. So like many of you, I often buy a few more cards from sellers since it usually doesn't cost any more to ship a few extra cards. In my eyes, that brings the cost of each card down a bit. Make sense? Anyway, this is one of those extra cards I got to help spread out the cost of that shipping and handling. When I got this card, the seller was charging $2 for shipping and handling with no extra charge for more cards. That's actually a pretty good deal. Not a bad deal for $16. 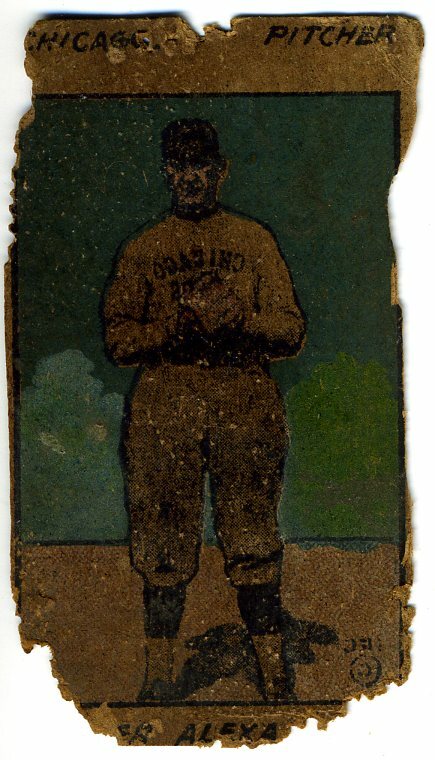 So I never thought I could afford an original Allen and Ginter baseball card. But about a week ago, this card popped up on eBay. It was the worst A&G I had ever seen. First off I had never seen one that had turned brown, they're usually bright white. Even the ones in lesser condition are white. I had my doubts if this card was real so I wasn't willing to go too high with the bid. I was a winner at a little over $25. After winning, I contacted the seller to get some background. He said he thought it could have been part of his grandfather's collection, but he wasn't sure. I figured it was worth the risk. It arrived today and I have a feeling it's authentic. The card is surely old. The pin holes and cracks really show the card's age. I figure if it were to be reproduced it would be sometime in the 1980s. And this card is way older than 30 years old. I don't think it's worth having authenticated. I may show it to a few people and see what they think but as far as I'm concerned it's the real deal. Anyone out there have an opinion? 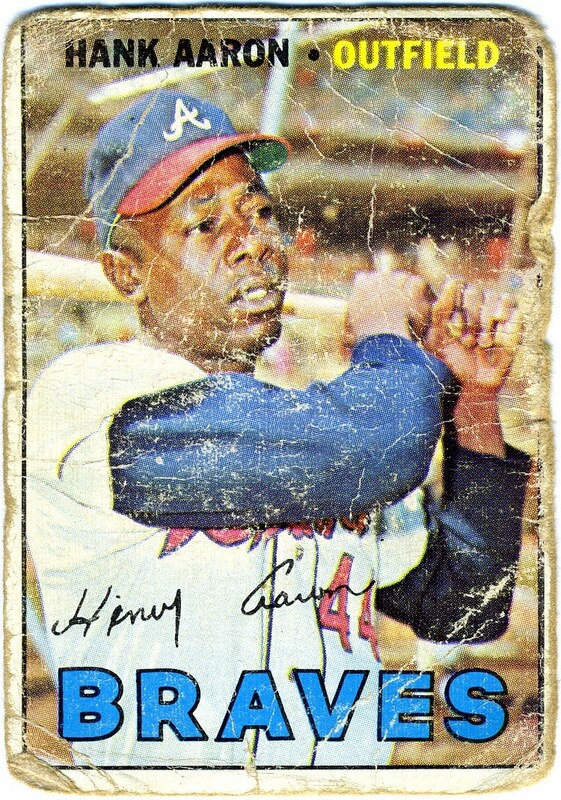 For about the price of a combo meal, I picked up this 43-year-old classic — a 1967 Topps Hank Aaron. So it has a little bit of wear —who am I kidding a lot of wear, but I love it just the same. This same card, a PSA 9, is selling for $1,799.99 or best offer on eBay. 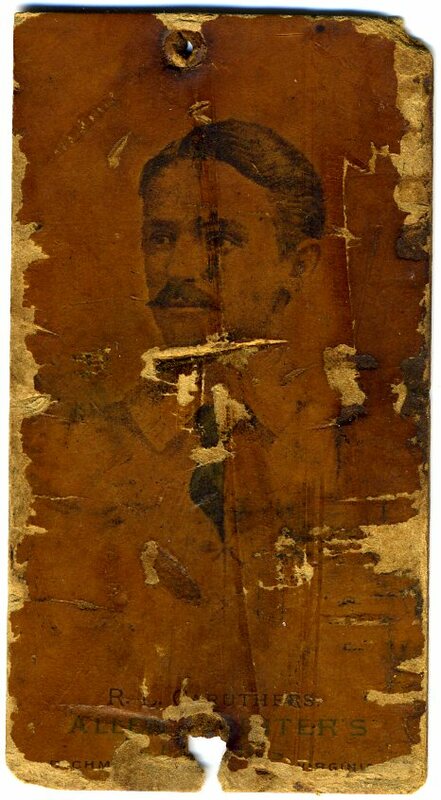 I wonder if that card would give me more joy than this poor old baseball card. Sure, it'll always be worth more than my card, but they are both original cards of one of the game's greatest. At least I can hold mine in my hands. I mean, I can feel the cardboard and smell the old gum residue. The new owner of the PSA 9 card won't be able to do either through the hard plastic case. But I'm realistic. I know that for some, baseball cards are an investment. And if I had the choice of the two, I would obviously choose the one that is hermetically sealed. But for the price, I'm happy with what I've got. I've had this card several months now and it's been sitting near the scanner ready to post. 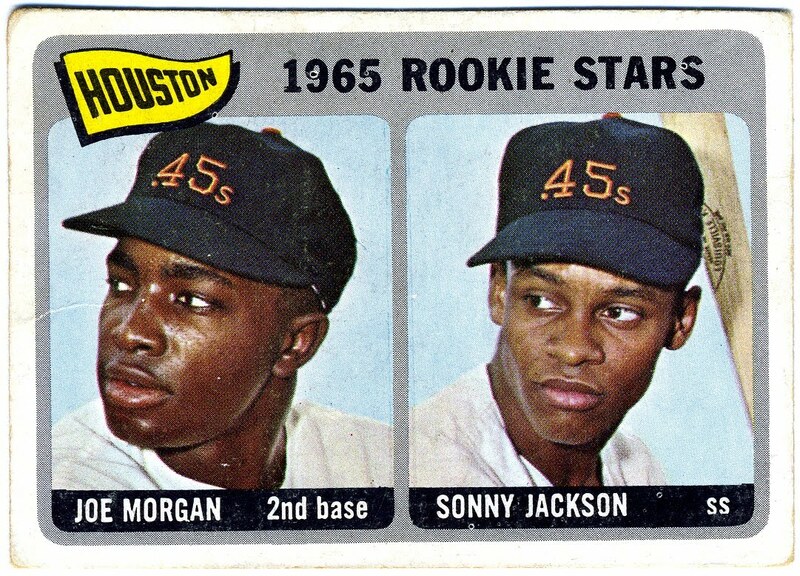 I thought that even though this is Joe Morgan's rookie card, it seemed rather boring. Then I took a closer look. One of the first things I noticed is how little Joe Morgan has changed. He looks the same 45 years later. I also appreciate the bright yellow Houston flag. It seems to just jump off the card. I then began noticing the little things like the label on Sonny Jackson's Louisville Slugger and even the orage buttons on the tops of the caps. And check out those hats. In my opinion the .45s had one of the best logos ever. It's too bad the smoking guns on the jerseys aren't visible. It turns out it's not that boring of a card after all. 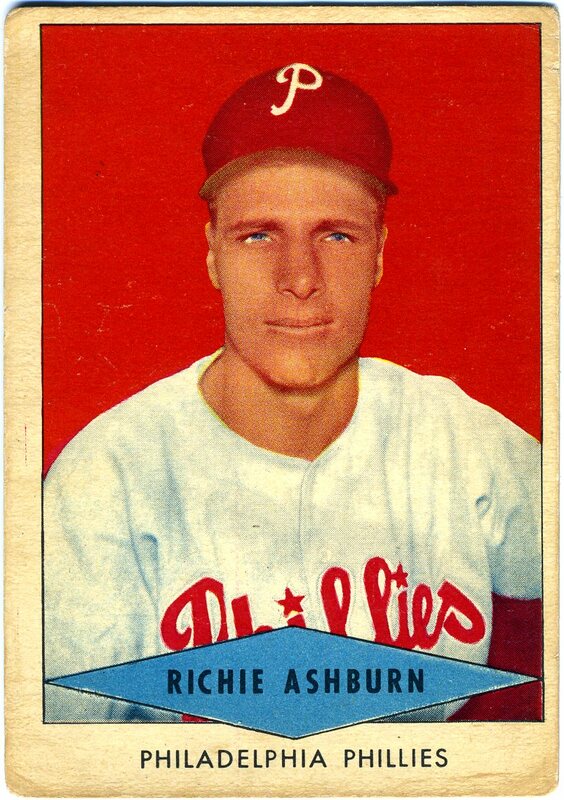 Richie Ashburn is No. 28 of 33. In August of 2008, I set out to complete the 1954 Red Heart set. There are only 33 cards in the set and Asburn is the 28th in my collection. Five more to go: Fain, Fox, Schoendienst, Slaughter and Spahn stand in the way of completing the set. I know it's been a long time: two years to collect 33 cards. While these beautifull cards are not the most difficult to find, they are hard to get at an affordable price. It's also becoming more and more difficult to get them not graded. I hate graded cards. And while searching eBay earlier tonight for the final five, I was disappointed to see many graded cards and many cards in the $50-plus range. Not a poor old baseball card in the bunch. I'll just have to keep looking.